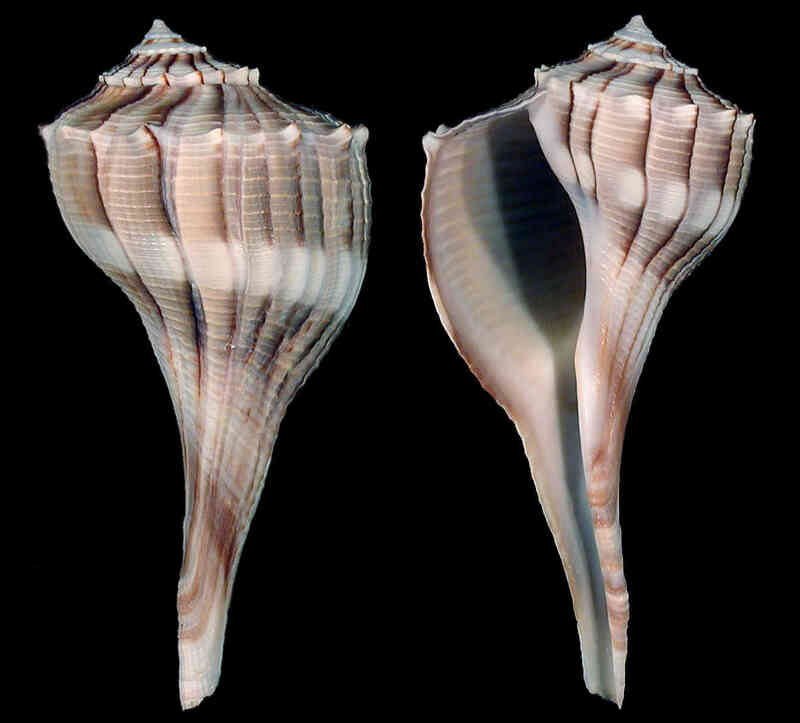 Shell size up to 38 cm; shell left-handed (or sinistral, coiling to left), heavy, with flattened spire. Shell shoulders with small knobs. 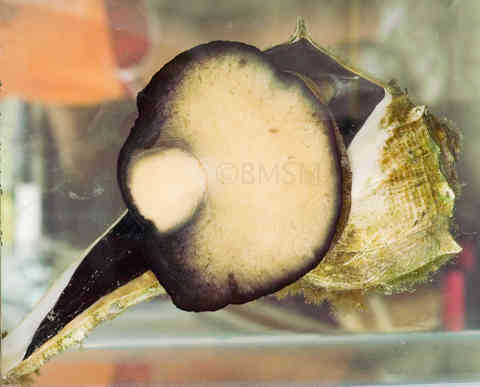 Color tan, shells under 7" have axial brown streaks. Very common on mud flats, bay waters. 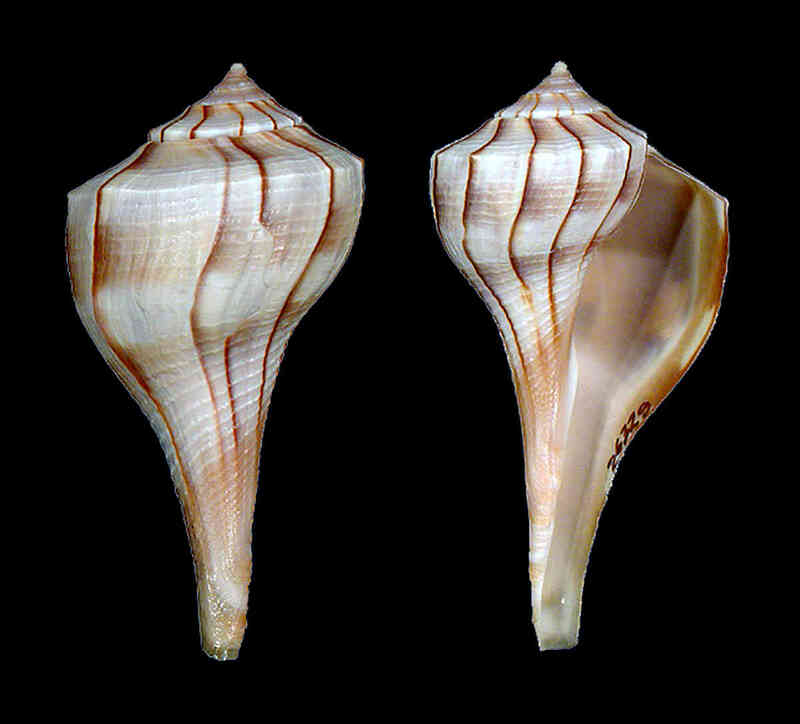 May be conspecific with Sinistrofulgur perversum (Linnaeus, 1758) from western Gulf of Mexico. Sinistrofulgur contrarium (Conrad, 1840) is a fossil species from Carolinas. Right-handed specimens are rare. 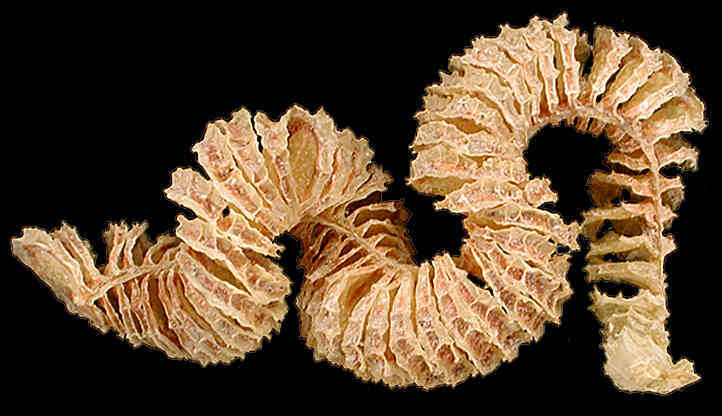 Egg cases are strung in long "chains" resembling dry snake skin. The females are larger than males and, during the reproductive season, are usually approached by a number of them at the same time. 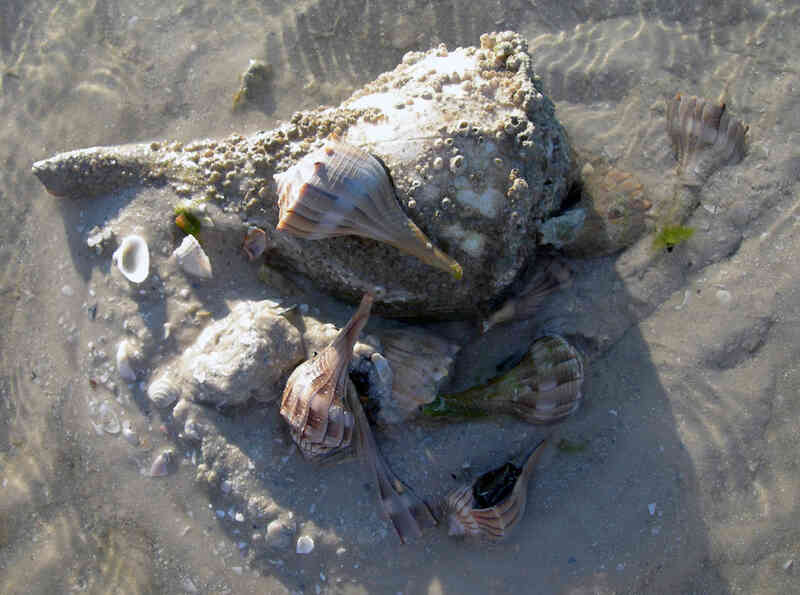 The last picture in this series, taken by Amy Tripp in Marco Island, shows a female surrounded by nine males. 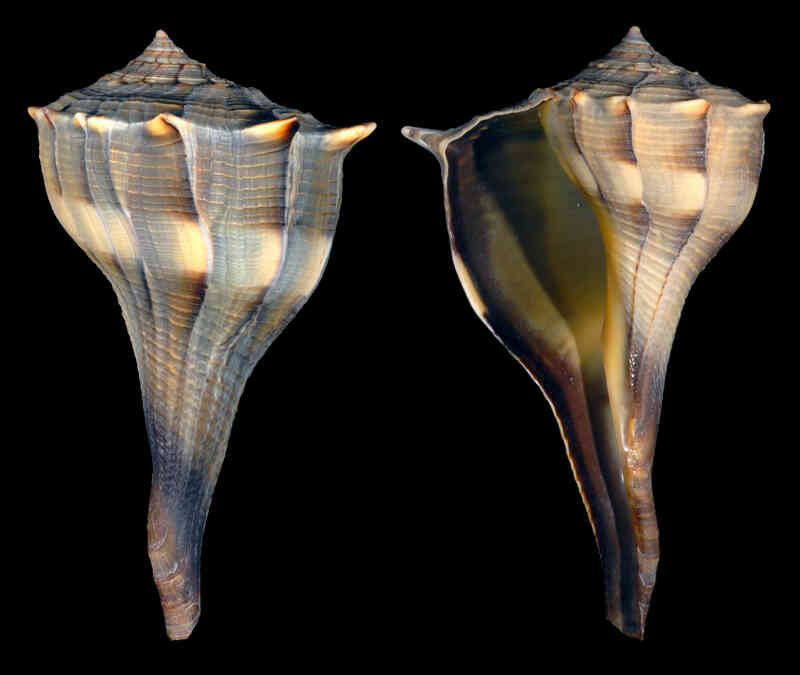 The main picture represents a dark, 100mm specimen collected by Kim Nealon on Captiva, March 2010. Formerly placed in the genus Busycon.